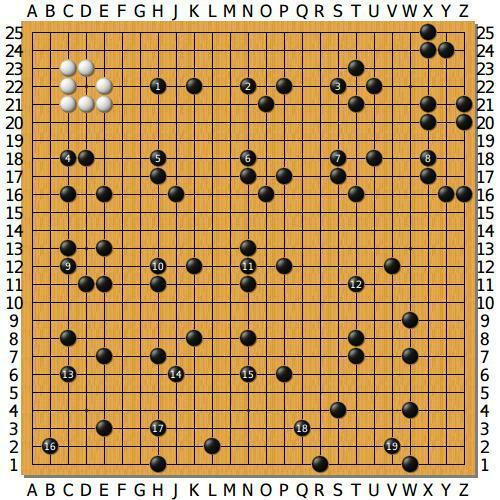 When I started with GO playing on KGS ( http://www.gokgs.com ) end of January 2014 I had luck, that shortly one month after beginning I got the chance to participate in **dsaun’s (audio) lecture** about **shapes**. dsaun (1Dan) is teaching Go since many years and has specialized to advice DDKs (double digit kyus). – It was very helpfully for me to learn from dsaun about shapes, and herewith to read a game and the moves of my opponent better and to make more efficient moves which let work the stones together.